We've come to the cold, rainy part of the fall season. We've already had some thunderstorms last week and we're slated to get a few more this week. Are you shoe ready? 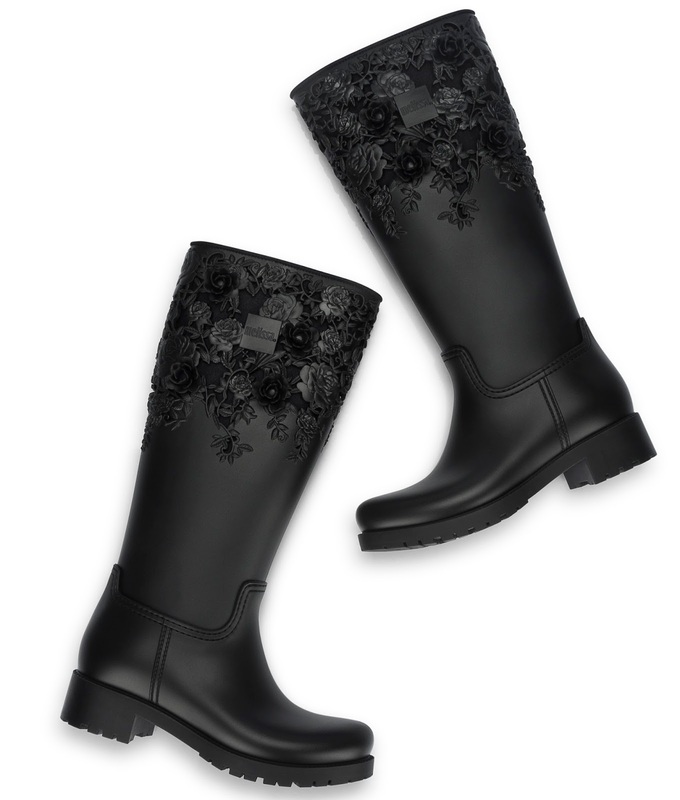 We once again return to the shoe altar of Melissa Shoes to share a stylish rain boot that's perfect for rainy days. 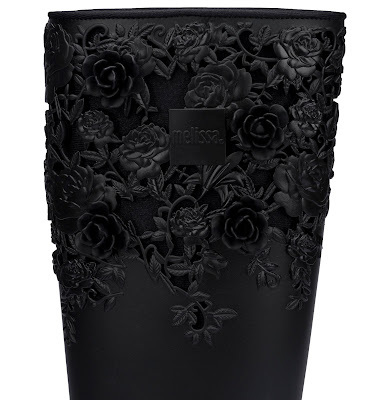 Inspired by the iconic biker boots, the Melissa Shoes Thermal Flower Boots reinforces the brand's memorable identity while keeping you stylishly dry. 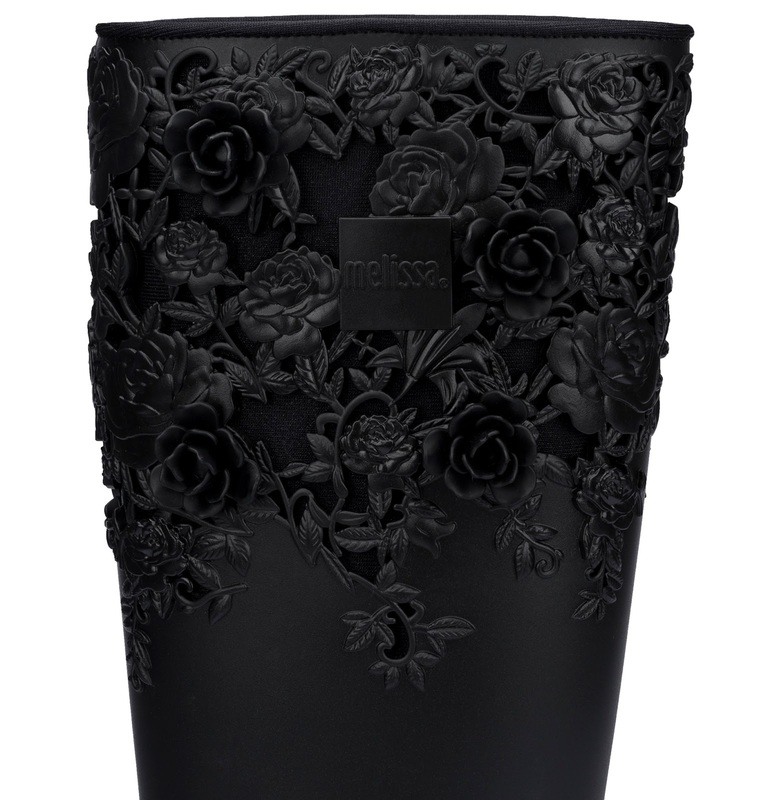 This new footwear launch is also Melissa Shoes' first biker rain boot. 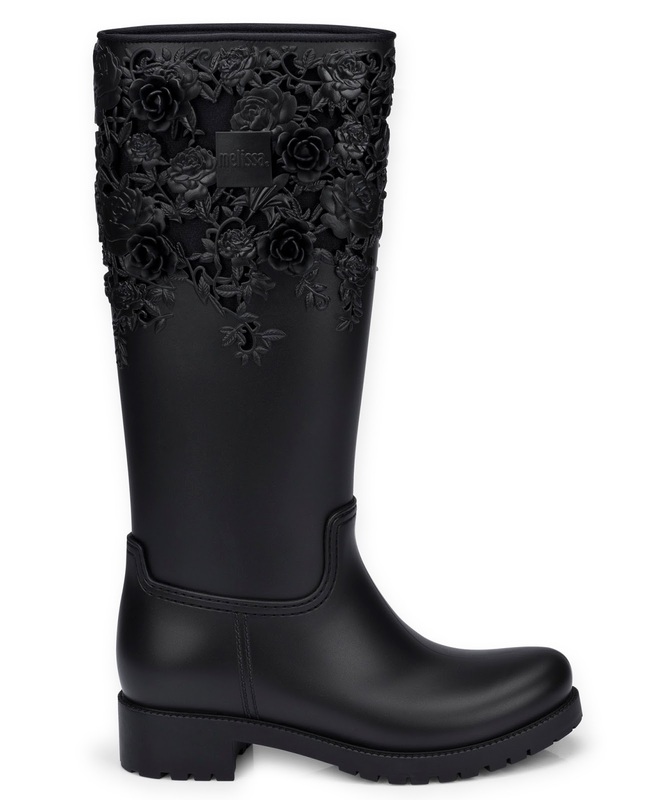 The knee-high cut boot is waterproof, thermal, boasts unique and charming with the intricate 3D floral details, and is the perfect finishing touch to stylish winter outfits. 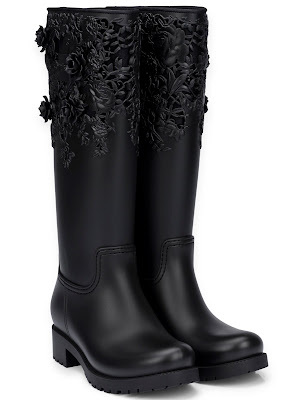 Available in monochromatic tones, the eye-catching Thermal Flower Boots retail for $235.00 and are available now on www.shopmelissa.com.